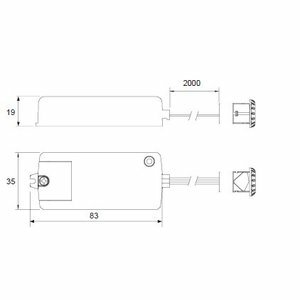 Electronic switch with IR sensor, on and off function. The switch works by approaching the sensor by hand to ± 1 to 10 cm. Is placed between transformer or LED driver and 230 V mains connection. By moving with your hand or with an object in front of the sensor, the electronic switch will switch on or off. For seeing 2 meters of wire between sensor and the electronic switch. Sensor for installation. Bore hole for the sensor is 13mm. 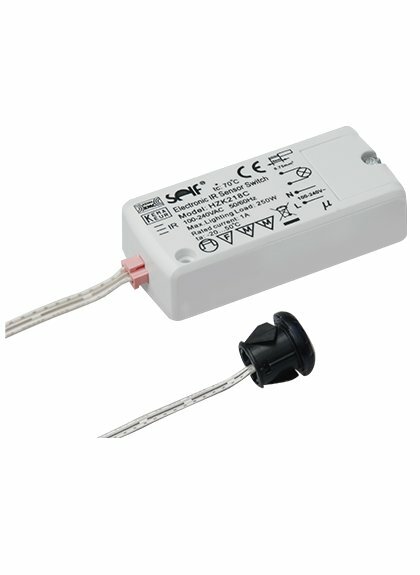 Sensor switches both mains voltage and low voltage lighting. By sweeping the sensor with your hand, the light switches on and you sweep your hand back over the sensor to turn off the light. Max. 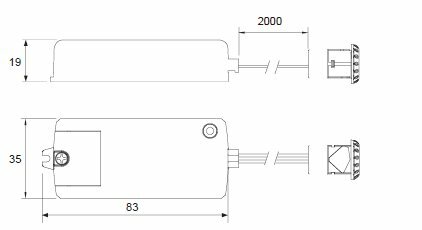 250w switching capacity (Tungsten). Power supply 240V power supply.